Liverpool will be looking to progress to a mouthwatering clash with Barcelona in the semi-finals. Liverpool travel to Portugal for the return leg Champions League quarter-final tie against FC Porto already commanding a 2-0 aggregate lead. Goals from Naby Keita and Roberto Firmino placed the Premier League leaders firmly in the driving seat for the last four of the competition as the Reds return to a stadium they won 5-0 at just one year ago. Liverpool welcome back Andy Robertson to their squad after he missed the first leg through suspension meaning if James Milner is to feature it will most likely be in midfield. Klopp will be without Dejan Lovren, who misses out through illness, meaning Joel Matip is likely to play alongside Virgil van Dijk once more and Joe Gomez is also expected to feature at some point in the second-leg tie. Alex Oxlade-Chamberlain has also not travelled as he steps up his rehabilitation at Melwood but will be hopeful of featuring in the Reds final four league matches. Meanwhile, Porto are boosted by the return of Champions League winning defender Pepe and also Hector Herrera after both missed the Anfield clash through suspension. Klopp: "We go there to win"
Undoubtedly Sergio Conceicao and his players will have that damning humbling in their own back yards firmly in mind and the Dragons will hope their recent impressive league form can serve them well in Europe after picking up their sixth consecutive Primeira Liga victory at the weekend. However, Liverpool manager Jurgen Klopp has warned his players their quarter-final tie is far from over as the players return to the Estadio do Dragao stadium on Wednesday night. 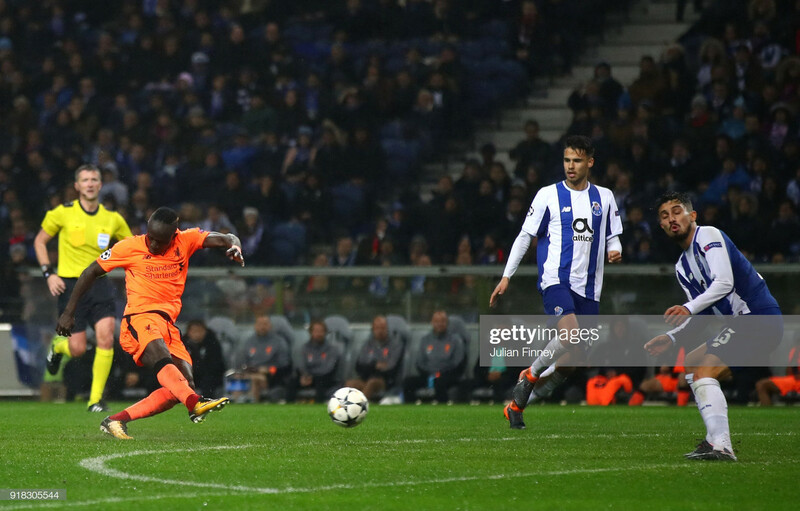 Porto suffered their heaviest ever home defeat in the competition against the Reds last season as a Sadio Mane hat-trick inspired last season’s runners-up to a 5-0 mauling back in Febuary 2018. Despite commanding the biggest scoreline from the first set of quarter-final fixtures, Klopp knows how dangerous this Porto side can be and knows this tie is far from over. He told the club's official website: "It's clear, 2-0, what would we do? That's the simplest question to ask: we would go for everything. "If we were 2-0 down and going into the home leg, would we think we were out? No way. That's exactly what Porto are thinking. "They always have a high intense game in the highest intense atmosphere. From the first kick they will go with a clear direction. "We can compare it a little bit to the [Manchester] City game last year when we were 3-0 up and everybody thought, 'halfway through' or whatever. "We go there to win the game, that's the plan. It's not easy, we know that, but we should not think about anything else because that's always the aim." Incredibly, Porto have lost the first leg of a European Cup knockout tie by two or more goals on six occasions and on every occasion they have crashed out of the competition. Their inspiring head-coach Conceicao was famously part of the 2004 winning side under Jose Mourinho despite the Portuguese manager being ineligible to play in the final after already appearing for Lazio in the group stage. It will always be a regret for the 44-year-old not being able to experience the glory first hand as a player, so Conceicao will be desperate to inspire another miracle on Wednesday night despite knowing it will undoubtedly be a massive ask for his players. 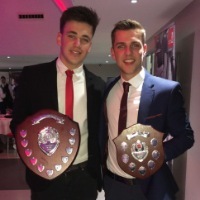 He said on Tuesday: "Liverpool are all about the way that I think about football. On many occasions, they have shown themselves to be the best team in the world. "We have to make up a two-goal deficit against a side who are very strong on the wings and on the counter-attack. "The balance in our attacks is going to be crucial. The coaching staff have devised a path, a plan for the game. Now it's just down to the players to carry it out on the pitch. They are the ones who have carried out everything good that has happened. "I've got some doubts over my first XI, but there cannot be any greater motivation than playing in quarter-finals and potentially completing an historic comeback."